“Hello, I’m your iPad.” Well of course you are. My four-year-old son likes to play a game in which he is a poor orphan and we are prospective parents. After a brief interview, we decide that yes, he is exactly the son for us. Familial bonding ensues. Much like adopting a child that was yours to begin with, the iPad makes a seamless entrance into one’s life. Its size, its usability,and its speed make it an easy companion, much like that little orphan boy who keeps hanging around. Unlike the little boy, the iPad provides prompt service when asked, and seldom talks back. Download apps- which basically means the answer to the question above is “anything you could possibly want to do”. The top reason the iPad is so popular is its usability. This device is profoundly intuitive. The touch-screen interface itself is a big leap forward for mankind- it takes the middle men of mice and keyboards out of the picture, and lets you act directly upon the machine. We humans really are still a primitive, tactile bunch so I think feeling like you are doing something with your hands holds a very deep appeal. 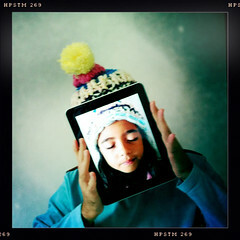 There is a complete overload of studies and articles about uses of iPads in education- elementary and up. My technical analysis for you is this: everyone is totally into them. Reed College did a study of Kindles in the classroom and found them lacking. They did a similar study of iPads and ended by saying EVERY single student who participated bought one at the end of the year. Enough said? At first I was sure I could never read on it, but I got over that very quickly- I use Kindle apps, so can read my books pretty much everywhere, and the iPad was always just THERE- so of course that’s where I do a lot of my reading now. Still not crazy about reading on an LCD, but if the choice is reading on the iPad, or walking upstairs to get the Kindle… well.. you know how it is. The only real downside I’m seeing to the iPad is that it is truly a personal device. It needs to be “yours” to get full use out of it. It doesn’t allow set-up for multiple users, and trying to share one is a very quick way to sow family (or departmental) discord. But at $500 a pop this is not an easy “chicken in every pot” scenario. So that’s my two cents, see our page for recommended set-up and apps here. If you have questions about using an iPad for teaching or learning, contact me. For administrative uses please contact the help desk. We have loaners available if you’d like to take a look at one. Apple vs Android. A Droid expert I know summed up the distinction thusly: android is for smart, nerdy people who want a smart, nerdy experience with their devices. 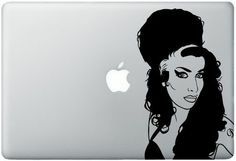 Apple is for everyone else. So, as a smart, nerdy IT department, we were naturally excited to receive a Motorola Xoom tablet last month on loan from Verizon Wireless. 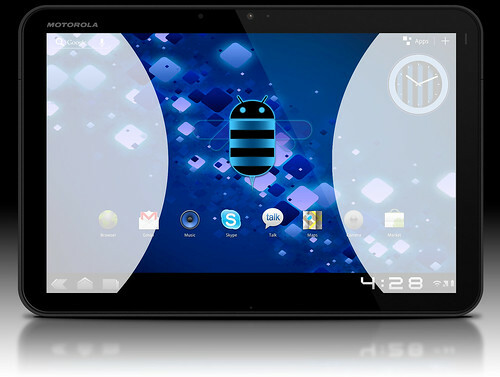 It boasted the newest version of Android for tablets called “Honeycomb”. I expected it to be awesome. It wasn’t. Read on, gentle blog subscriber, and hear our tale of woe. Um, we got to use it for free? How do you turn this thing on? The IT Director was stymied. I managed to turn it on but couldn’t unlock it. A PhD was perplexed as to how to close programs. Two of us thought the “home” button was an up arrow. Did I mention we all work with computers for a living? Physically, the tablet felt fairly heavy to most of us. You couldn’t easily hold it in one hand. It’s about 4 oz heavier than the iPad 2, I guess in the tablet-world that’s a lot. The glossy screen was a fingerprint magnet and had a lot of glare. This thing has major usability issues. It isn’t us, it can’t be. This device was near-diabolical in its basic design. For most of us, this initial frustration colored the rest of the Xoom experience, and left us exasperated and annoyed. Two co-workers kept it all of 20 minutes before throwing it back at me. Another co-worker sagely stated “I would never buy a Motorola brand computer, so this is about what I expected”. If the Xoom can so handily defeat and alienate a tech-friendly group of people, what hope does it have for the consumer market?! Once we managed to turn the Xoom on, we took a walk around the Android interface. Andoid is a more complex interface than Apple’s iPod and iPad OS. There are multiple screens, various buttons and menus, it’s not always clear what each of them do. It’s multi-layered. Complex. Basically the opposite of an Apple interface. Could it be more versatile? Yes, but I think it would take a month of constant use to get used to the interface and fully figure how it would work for you. What I did like was the easy integration of my existing Google account. Once I entered my account info I had my email, docs, bookmarks, books, etc all accessible. Kate mentioned, however, that getting your account UN-linked from it is not quite so easy, and there is no system for handling multiple accounts and multiple log-ins, so this is essentially not a share-able device. The App Store, while basically easy to use, had a confusing aspect in that when click “download” on an app, nothing happens. There are tiny letters that say “waiting for download”, and if you click “My Apps” you can then see the download progress, but it’s not obvious at all. The Gmail app was clean and easy to use, the keyboard was OK for typing on. You can view and edit google docs, but it’s cumbersome and you can’t change formatting easily. It would be fine for taking quick notes. Office Suite Pro is a $15 app that gives you a little more productivity, as well as access to the Xoom’s file system. I could download a google doc and work on it in Office Suite Pro, but then wasn’t sure how to get it back to the cloud. Again, if I had a month to play with this thing I would have figured out a system, but should it really take that long? Google’s CloudPrint service looks really promising and will allow people to print a Google doc from a tablet. But for now, you have to have a constantly networked PC to run the printing so that’s out for me until they improve the system. The Google maps and GPS were probably my favorite thing to use, it’s a great screen size for looking, scrolling, zooming and rotating maps. The directions it gave were clear and good, other than wanting me to leave campus via the dirt road shortcut we’re not supposed to take. It would probably be useful as a scheduler and organizer, though no more so than a regular laptop. You’d think that if a tablet does anything well, it should be web surfing. Well, think again. Where’s the address bar? Oh, swipe your finger in form the upper right corner, or press and hold the bottom left. Um, yeah. Also, the simple act of clicking links was a little clunky and not nearly as sensitive and accurate as even an iPod touch. I had to zoom in the view to get some links to open. Alternate input methods left much to be desired. Voice recognition wasn’t good for anything other than short, simple sentences. A pen reader app was clunky but perhaps would have been workable with more practice. The Xoom has some accessibility features allowing you to turn on sounds describing your actions on the device, but there’s no screen reader or text-to-speech function built in, so I’m not sure why the visually impaired would be using it in the first place. I was able to get my Kindle books on the Xoom easily via the Kindle app, but really didn’t like the reading experience. The brightness of the screen in your face was distracting, the text looked pixel-y, you had to hold the screen exactly straight-on to be able to see clearly. And again, no text-to-speech function! You can read PDFs on it as well, though if you want to annotate them it takes a $5 app. To plug in the Xoom and transfer files directly required installing a separate program so I just gave up. Youtube interface is really weird. Angry Birds was awesome, but what else would you expect. The Xoom has front and rear cameras. The images and video were on a par with a low-end digital camera. It had a very bright flash for photos and fill light for videos. It was very easy to upload pictures to Picasa, Facebook, YouTube, etc. and it even has a primitive built-in video editor. Picture editing and organizing was almost non-existent, so this would not cut it for me as a primary means of dealing with photos. 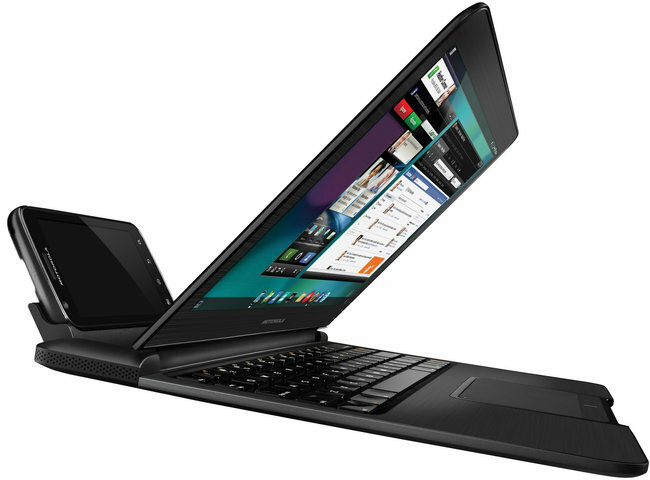 None of us had any desire to bring this Xoom into our lives, whether for work or play. Some thought it would be mildly useful as something to have on hand for casual web-browsing, but we all emphatically thought it was not worth $600. So why are tablets in general flying off the shelves? What are other people seeing in them that we’re not? What are these devices doing for people, really? What’s the big attraction? My biggest clue was the fact that the only time I could see really using and liking this tablet was when I was traveling. I imagined I would feel safer and happier having this on hand. Why? It’s not about productivity. It’s not even really about entertainment. It’s about connection. A tablet gives you a constant, uninterrupted sense of connectedness with the cloud, the web, the world. It’s a lifeline, and an anchor. When I am unanchored from the usual connections in my life, as when traveling, this is when I see the attraction of this connective device. So what does this say about everyone buying these tablets? Smartphones? Other mobile devices? What does it mean that so many millions of people need these virtual anchors and lifelines? What’s missing from our everyday, real-life connections? A common theme these days is that technology is driving us away from each other and is diluting our interactions and connections. I would argue, though, that we are adapting technology to bridge already-existing distances in our lives. The gadgets simply make apparent deeper problems that, I think, go back to the fact that as a species we are supposed to live in tribes and villages with large extended families around us. Very few of us have even a close approximation of that kind of truly connected existence. And the only technology you can really blame for this state of affairs is the wheel, really. So these tablets fill a need for many people. Who am I to judge? On a recent trip it was an absolute gift to be able to Skype with my son from across the country. It was a connection when there otherwise would have been none. Upon returning home, however, I was all too happy to unplug and re-connect with my real-world family in a real-world way. These tablets are seen as a luxury item. I think the real luxury is having enough true connection in your life to not need them. The Amazon Kindle: Worth the e-Paper it’s Printed on? The Kindle is delightfully primitive. Can it surf the web? Sort of. Angry Birds? Forget it. Pictures, movies, hulu? No, no, and no. Here’s what you can do on it: read a book. And you just might find the simple act of reading so appealing once you have it in your hands that you forget all about Angry Birds (almost). The easiest way by far to get a book on the Kindle is, of course, to buy it from Amazon. Amazon also has a number of free books available, but to find them you really need to be on the website, not on the Kindle. You can find rotating freebie deals here (sort by price to get the free ones first) or browse a huge library of copyright-free classics. Having these classics available instantly and for free will, I hope, encourage people to read them who otherwise wouldn’t. PG Wodehouse, Thomas Hardy, Edith Wharton- this level of writing craft is truly a lost art, and we all should at least get an occasional reminder of what the english language is capable of. You can also go to Google Books and browse through their free offerings, also mostly out-of-copyright stuff. Depending on the format available for download you may have to convert it using a program called Calibre. You can get a PDF or Word doc on the Kindle very easily by emailing it to the Kindle. But here’s the kicker: if you bought the more expensive 3G model you’ll pay for this service. If you were a cheapskate like me and got the least expensive wireless model, you don’t. Thanks, Amazon! You can also just plug the Kindle into your computer and transfer things over as you would to a flash drive. If there’s a long web page or article (like this one) that you want to read without going blind you can also get these to the Kindle. There are a few different ways to do it. The easiest by far is to switch to Chrome for your browser (an easy process, and it’s great anyway), and use their “Send to Kindle” add-on. It sends whatever web content you’re viewing at the time to your Kindle. Doesn’t work for PDFs viewed within a browser but otherwise is great. There are also a few services such as Instapaper and Read it Later which allow you to send content from your browser to the Kindle. I ended up not liking Instapaper because the material appears on the Kindle as “Instapaper #27” and doesn’t give you a clue as to what articles it contains, so it’s hard to organize the readings. Read It Later requires you to use that same program Calibre to get it onto the Kindle so it’s an additional step. This is where the Kindle gets really, really, useful. Whilst reading any book or most PDFs, you can highlight text passages or write your own notes. You can then view a summary of said notes and highlights. One way to get the notes back to your computer is to connect the Kindle to the computer via USB and copy over the “My Clippings” text file which contains all notes and highlights ever made on the device, organized by book (or document). For books purchased on Amazon (whether free or not) go to kindle.amazon.com, choose the book in question, and you can view your highlights and notes from that book. Simply copy and paste. Amazon also has a “flash-card” type feature that will show you your notes as a memory jogger or sorts. And any help offered to my feeble memory is heartily appreciated. I almost never pick up a dictionary and look up a word when reading on paper. On the Kindle, however, a definition is two clicks away so I now know the meaning of diurnal, florescence, and catholic with a lower-case “c”. This feature became so quickly integrated into my psyche I now find myself getting annoyed when I can’t immediately look up a word read in a paper magazine, or on a website. It just won’t die. The e-ink technology uses so little energy the battery lasts at least a couple weeks, very handy for the woman who typically has a dead cell phone every other day. I spend so much time starting at screens to begin with that I really didn’t want to get a reader with a LCD or LED screen. I couldn’t get past the pixel-y look of type on the iPad, and I just think the eyes need a break from refresh rates now and then. The e-ink Kindle screen really is very readable, and gives you no more eye strain than the printed page. Can you see it in the dark? No, much like a book and the rest of the physical world. Can you read it in the sun? Unlike an iPad, yes, and the screen has a nice anti-glare, anti-fingerprint finish unlike many other tablets. Keeping the beach sand out of it may be another matter, but summer reading here I come. $140, in the realm of affordability for many people. You get 3.5 for the price of one iPad, so even the cats may get their own this Christmas. The Kindle cannot read e-books available through my local public library system. The Nook apparently can. The text-to-speech sounds like a ridiculous robot. That said, I did use it to “read” an article I just wanted to finish while driving the car. I got used to it, but it could definitely use improvement. The web browser is very primitive and cumbersome, mostly unusable. However, we humans are so bad at avoiding temptation and distraction that I think this is actually a blessing. Amazon might do well to say “never mind, go back to your book” and just remove it entirely. What these e-readers are really about. OK, here’s where we get a little dark. 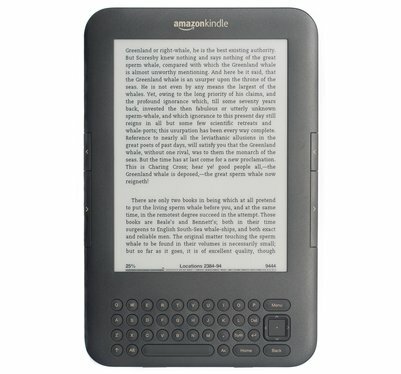 Why did I buy this Kindle instead of a Nook or other e-readers out there? Really, why? I took a long hard look at myself and the answer I finally arrived at, which I think gets to the ulterior motives of companies involved, was brand loyalty. This realization was a horror to me, but I do think it’s true. I shop at Amazon, a lot. I have never bought anything online from Barnes and Noble. Amazon is a known and trusted entity to me. And by selling me this device they have just guaranteed that 100% of my future book purchases will be made with them. I have put my hand over my wallet and made a pledge of allegiance. Is this creepy? Yes. Does it make the Kindle any less useful and fabulous? No, but it reminds me that the driving force behind this device is not an altruistic love of the printed word, but rather a passion for fourth-quarter gains. I know where we stand, this Kindle and I. As a student myself, I think the Kindle is going to be very useful. The device lends itself to focus and concentration. You don’t have the temptation of Facebook being two clicks away, there’s no clock on the device itself, and the interface is so simple that it fades into the background and lets you focus on content. The offloading of any notes I take is a tremendous convenience, and I think Amazon will probably improve this functionality with models to come. I can also make said notes public, for example to share with a class. The recent addition of actual page numbers improves the Kindle’s chances of being useful in a group setting. And most of all, the $140 price tag makes it a more egalitarian option for schools. A $500-700 price tag for a secondary device is downright elitist in my book, no matter how useful it is. Prices will come down in the next couple years, but until then the Kindle is the most financially accessible option by far. I will graciously accept an iPad as a gift (birthday September 19, thx), but for my own money I’ll stick with the Kindle. Apple: call me when you get color e-ink, and we’ll talk. It’s a phone – no it’s a computer – no, GPS??? Now that is a neat idea.